Bitcoin, the world’s foremost virtual currency, has been on an epic journey. When charting its steep rise in value, you’d figure you were looking at the North Ridge of K2: a sheer, razor-edge cliff slicing the sky. From a starting value of $998 (all figures U.S.) on January 1, 2017, the value of 1 bitcoin hit a high of $19,343 at the start of December—an 1,838 per cent increase in a little less than 12 months and more than enough to make multimillionaires out of investors either bold or foolish enough to get in early. 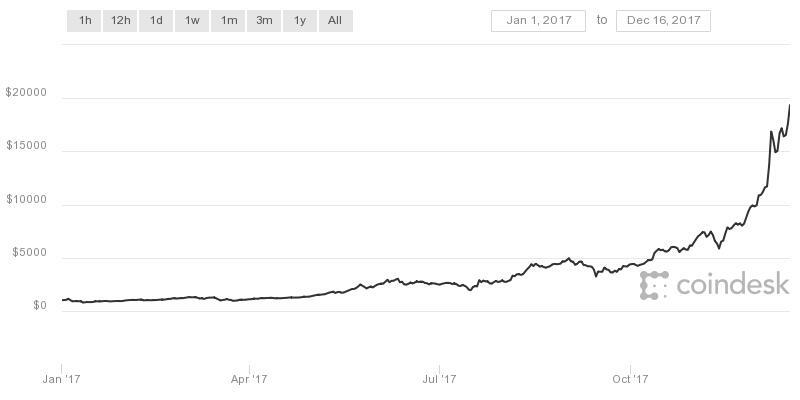 A graph detailing the value of bitcoin from Jan 1 to Dec. 16 (when it reached $19,343). 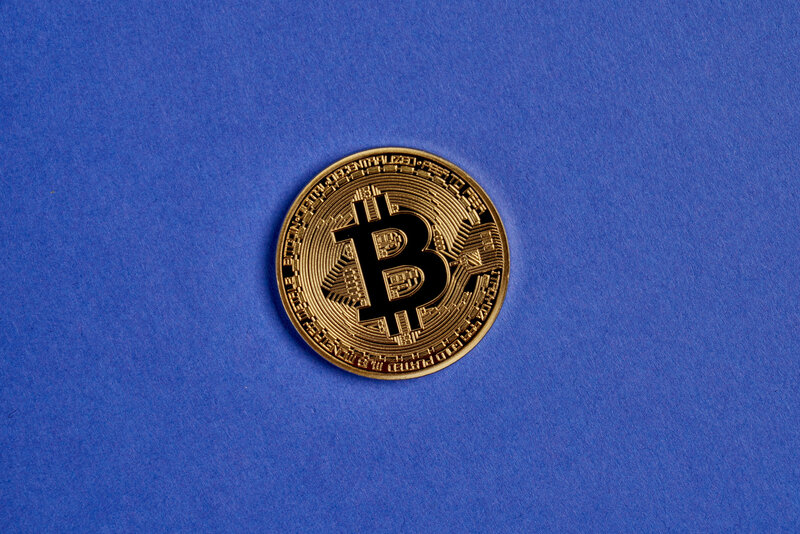 Developed in 2009 as an unregulated, decentralized payment system that bypasses banks and other middlemen, bitcoin has become perhaps the definitive example of financial speculation. And the hype surrounding bitcoin has spawned an entire family of cool-sounding cryptocurrencies: Ethereum, Dash, Monero, and dozens more. Whatever your take on the mania surrounding it, there’s no doubt that the blockchain technology that underlies bitcoin and its me-too copycats has a lot going for it. You can think of blockchain as an open digital ledger distributed to multiple computers that function as collective recordkeepers. Every time a transaction is completed, the ledger’s records are automatically updated and verified by every computer in the network. The transaction (or block) is then written cryptographically into the ledger’s permanent record and placed in chronological order in the ongoing chain of transactions. Whatever your take on the mania surrounding it, there’s no doubt that the blockchain technology that underlies bitcoin and its me-too copycats has a lot going for it. The technology has obvious uses in the financial industry—in insurance, stock markets, accounting, and the like. In fact, Goldman Sachs made the bold suggestion that a switch to blockchain could save the world’s stock market operators over $6-billion a year. The current value of bitcoin and blockchain-related companies is less a reflection of the business case for a burgeoning new technology, and more an expression of confidence that someone out there in investor land will pay a higher price for this package of bits and bytes. Then again, confidence—or lack thereof—has always been at the heart of finance. And, if we’re being honest, technology, too. Like Uber, Amazon, Airbnb, and other disruptive technologies, the rise of blockchain is a statement: a vote of non-confidence in business as usual. It’s a brick tossed through the window of banks, governments, and centralized authority of all kinds. A message delivered by a fast-growing subculture of techno-anarchists who’ve had it with “the system”. A profession of faith in the power of technology to liberate the individual from the constraints of social and financial norms. Whether that faith is well placed remains to be seen. Image via Flickr, Stock Catalog.